The authors Richard Rose and Caryn Peiffer discuss the meaning and standards of corruption by looking at countries in the Global North and Global South in their contribution entitled Understanding Corruption in Different Contexts. They refer to fuzzy and broad definitions of corruption in circulation worldwide and emphasize the demand for an integrated explanation of corruption by following an interdisciplinary approach. The chapter offers a review of social scientists’ theories about causes and consequences of corruption followed by new findings and evidence from a comparison of 122 countries around the globe assessed by the Global Corruption Barometer and 176 countries compared by the Corruption Perceptions Index of Transparency International. 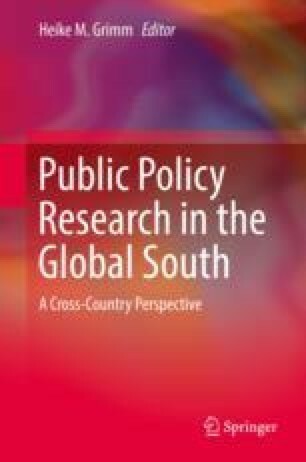 Rose and Peiffer find that generalizations about corruption in countries grouped according to geography and culture are misleading. Variations in national context within continents are greater than differences between mean ratings of continents. A superficial comparison of the degree of corruption across continents and countries of the Global South and North is fallacious. The authors suggest nine principles for reducing retail corruption with high practical value. In particular, they emphasize that reducing direct contact between public servants and citizens by delivering services electronically can result in more efficient public services at the grass roots and simultaneously lower the possibilities for corrupt behavior.